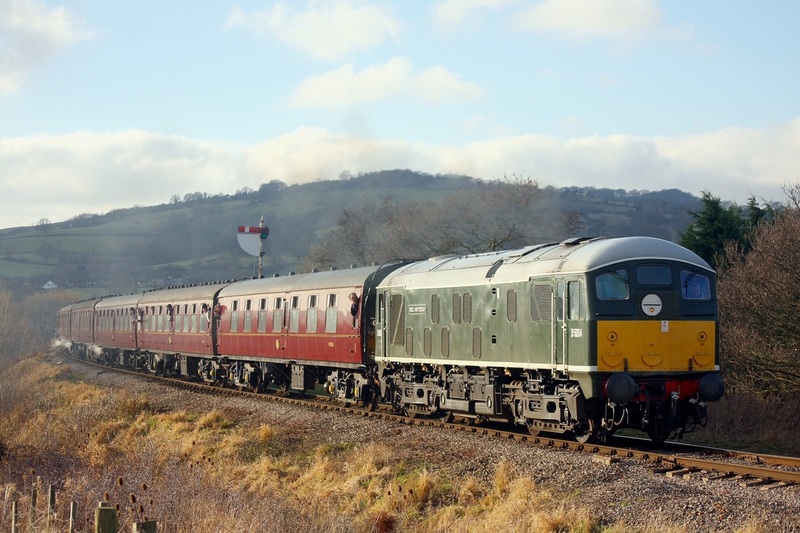 On the 27th December 2008, D5054 leads a Cheltenham to Toddington service at Hailes. 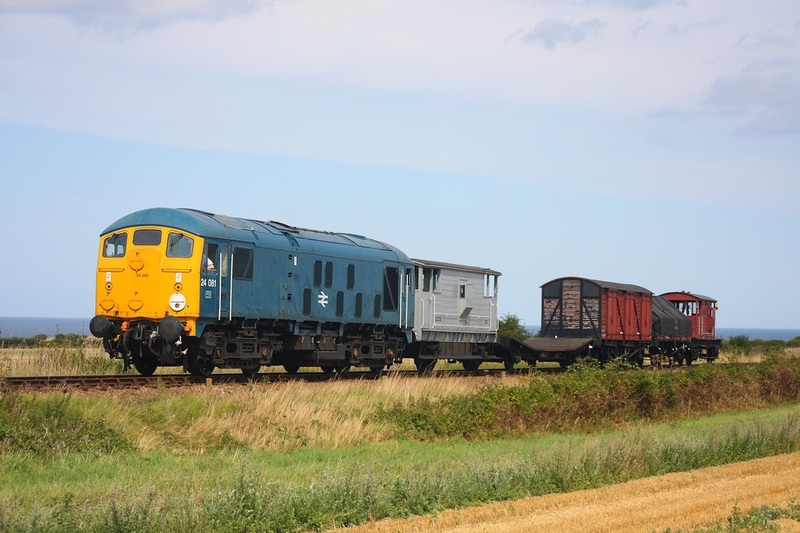 Br Blue 24081 leads a Sherringham to Holt goods train on the 16th August 2009 approaching Weybourne. 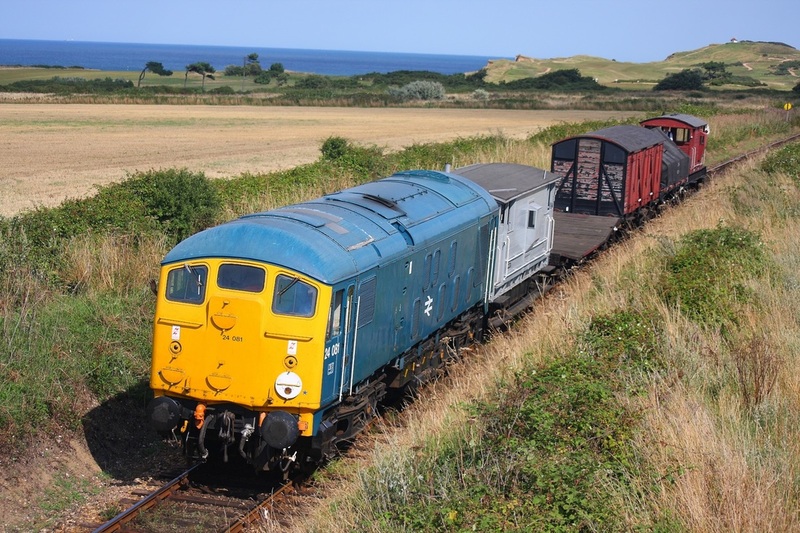 Br Blue faded 25057 departs Sheringham with a goods train to Weybourne on the North Norfolk Railway on the 23rd August 2010. 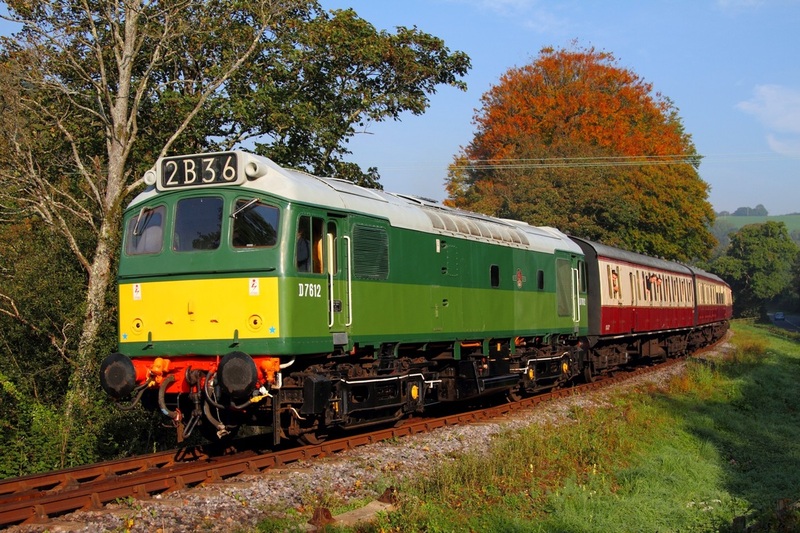 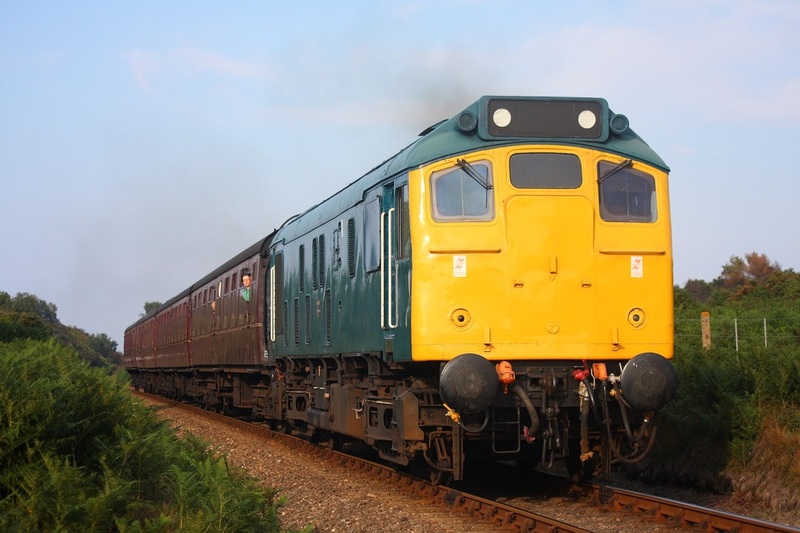 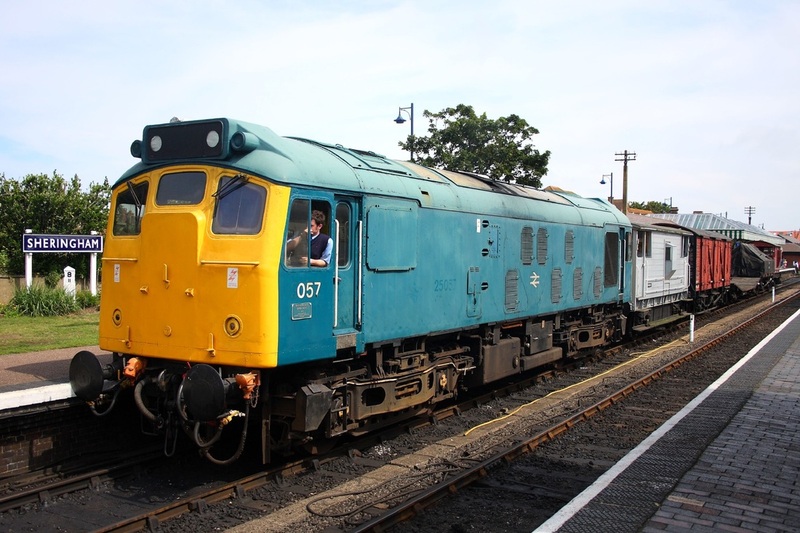 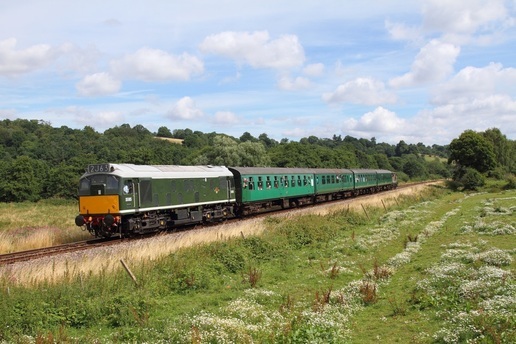 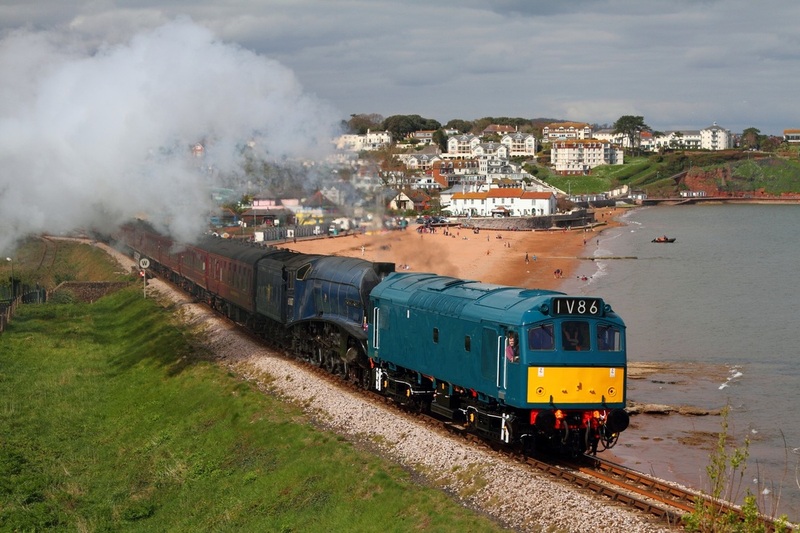 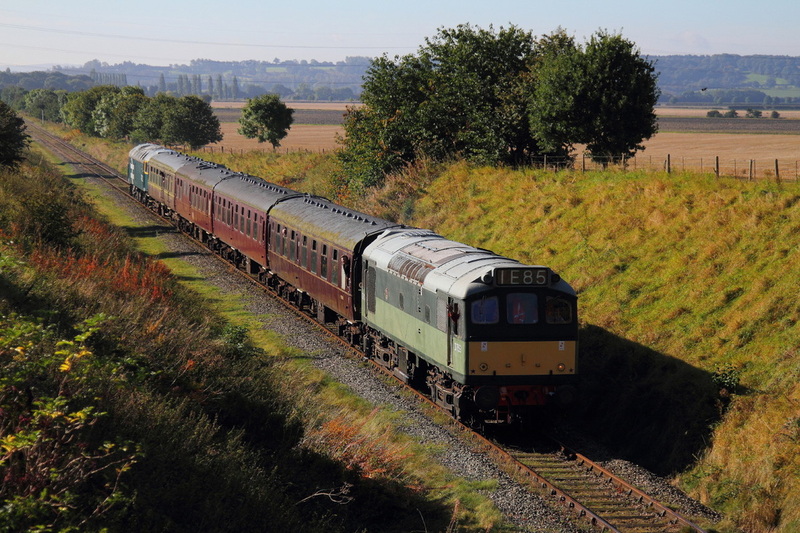 Below: Every Summer Saturday, a diesel locomotive works the last two evening services. 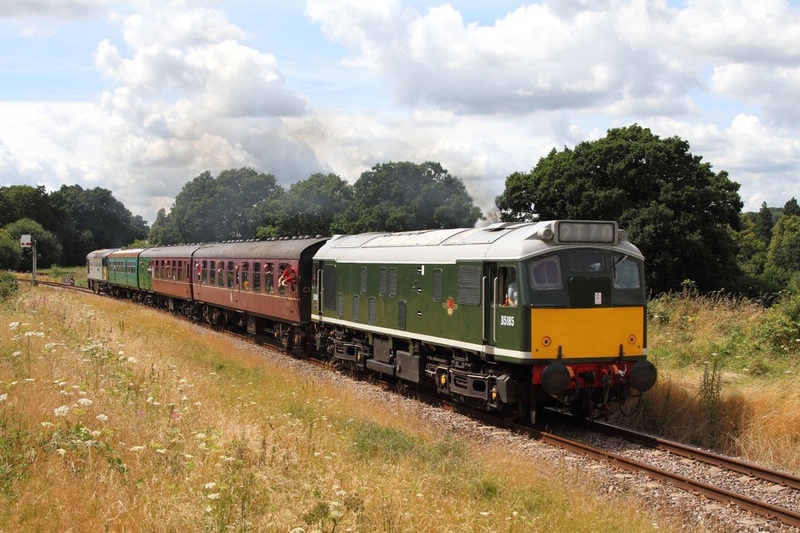 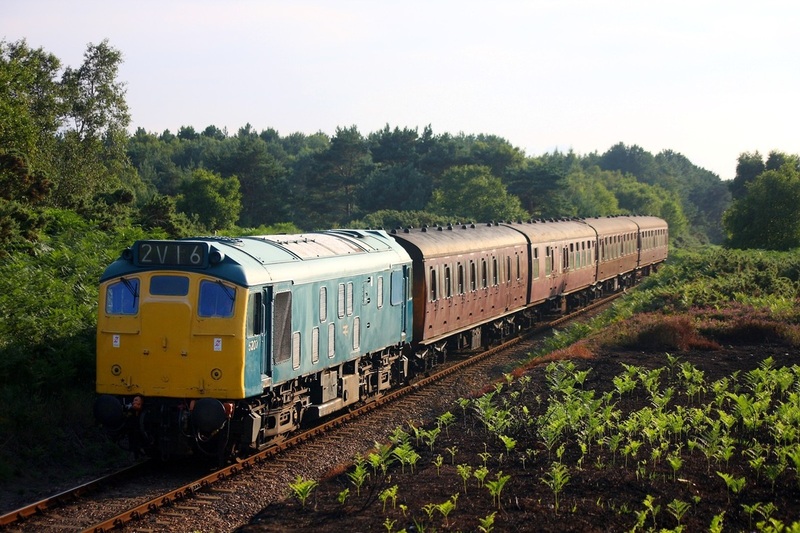 25057 is captured on the NNR working to Weybourne and returning to Sheringham.